"I am sorry for your loss. I worked with Ralph for about 8..."
"Gail and family - Jim just told me about this and I was so..."
"Gail and family, My most heartfelt sympathy to you and your..."
"We were so sorry to hear of the death of Ralph. The loss of..."
"Such a sudden and heartbreaking loss. 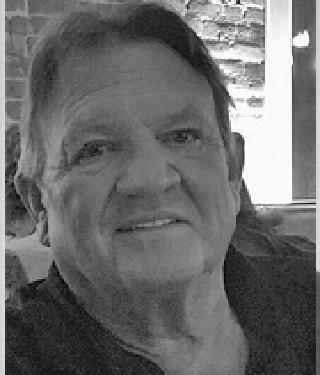 The two of you have..."
Ralph Scott Martin passed away unexpectedly Saturday morning, September 8, 2018 at the age of 67. He was born June 7, 1951 in Jenkins, Kentucky. Ralph began working construction at the age of 14, and retired from GE Johnson with 29 years of service. He enjoyed playing golf, creating stained glass art, gardening, MGD and time spent with family. Ralph was preceded in death by his father, Calaway Penn Martin; mother, Marceline Martin Bane; and brother, Steven Matthew Bane. He is survived by his wife of 48 years, Gail Hinson Martin; daughter, Michell (Joe) Raczkowski; son, Brandon Scott Martin; brother, Cal Phillip (Kathleen) Martin; step-sister, Marina Maier; grandchildren, Ava and Dean Raczkowski; Calvin (Jessica) Martin; great-granddaughter, Morgan Martin; his faithful companion, Emilio; and numerous extended family and friends. A memorial service will be held on Friday, September 14th at 10:00am at Evergreen Funeral Home. Donations can be made to the in honor of Ralph's mother.